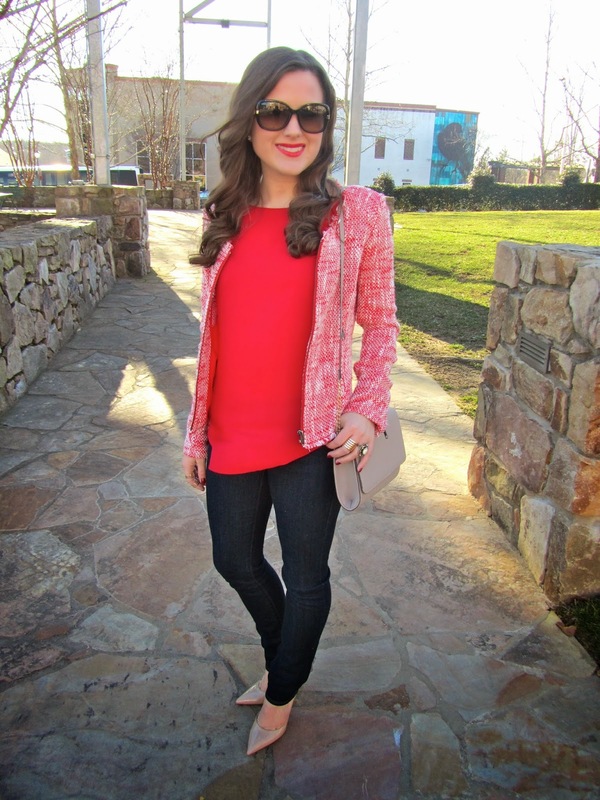 This little tweed jacket is an oldie but goodie and is fun for a casual Valentine's Day look. 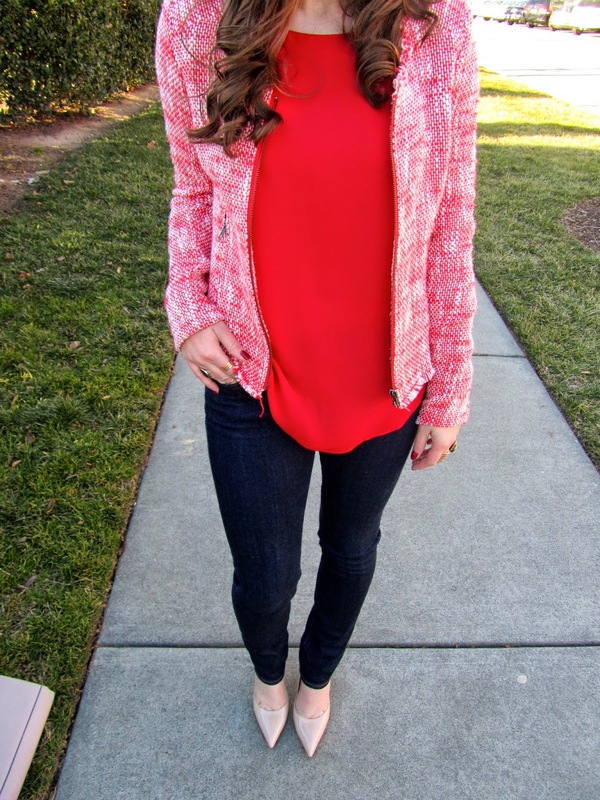 Red looks great on you! I love this jacket. 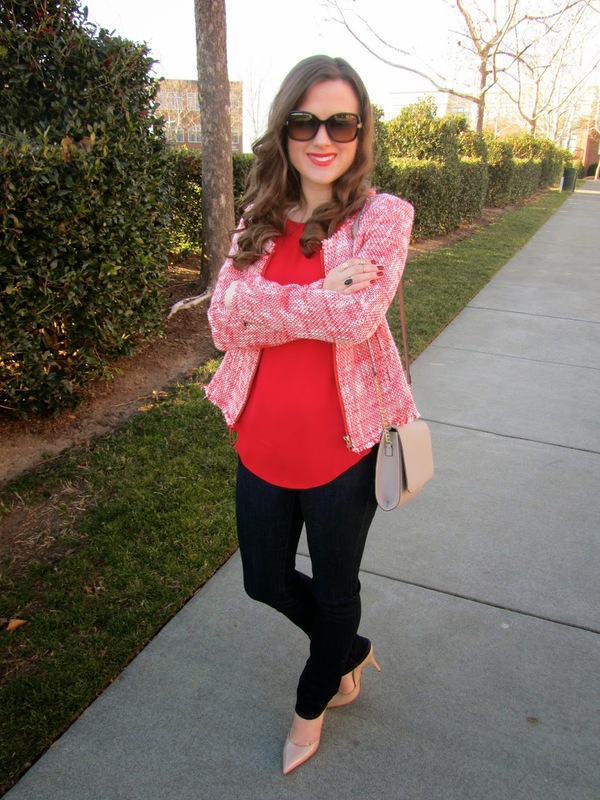 This is a perfect Valentine's Day look! love it. your hair is beautiful as well, btw.